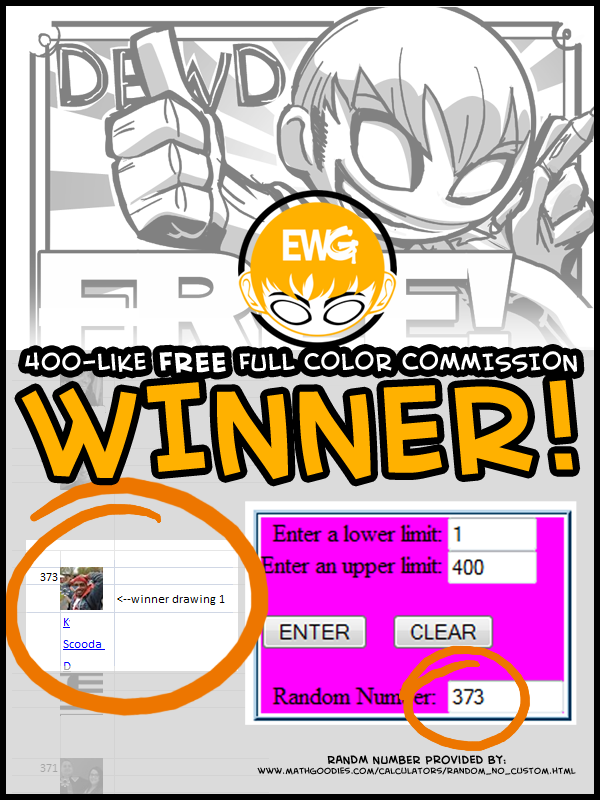 400 Facebook Likes Giveaway Winner Announced! Update One Week Later: This winner did not communicate back or claim their prize in one week so a redraw has been held and a new winner announced! Warmup sketch this morning, about 15-30 minutes somewhere in there I didnt really keep track. More emote than usual. But thats good to do sometimes. Alright, emote session over for now. At least now I get a break from life's drama for a few hours each day while concentrating on my business. Bia is the name of one of the right hand gaurds of the Greek God Zues, the others are Nike, Zealus and Kratos. Bia is thought to be the personification of force, power, and violence. Spoiler alert for the loyal readers and fans out there, Javelin is sort of like 'Zeus' and Bia here is the newbie entry to his mentioned 'Honor Gaurd'. We have yet to meet the rest of his gaurd. But yeah, you can put it together a bit now. 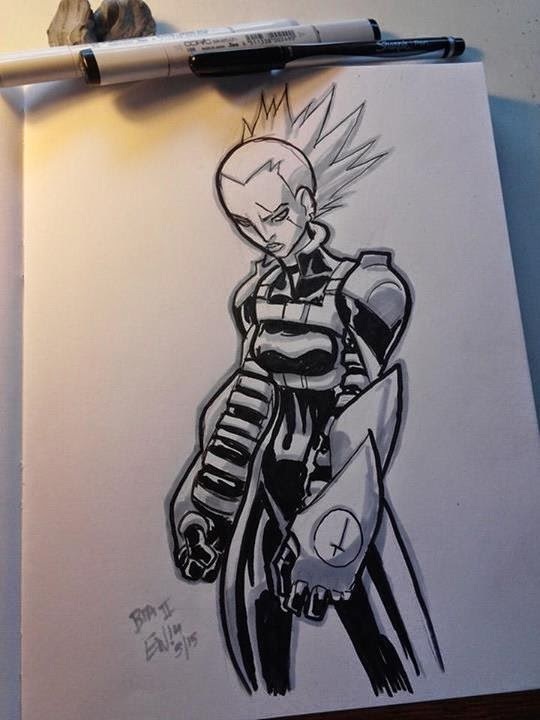 Longtime soldier for the private military technologies organization 'JCorp', she was a ruthless and loyal leader. She lost both arms in action and since has had surgeries to embed artifical joints at her shoulders. With these she can wear completely robotic arms that act like her own though lacking in sensory perception. It is believed this lack of feeling makes her push harder and act more violent, hoping to push hard enough to actualy feel something someday. 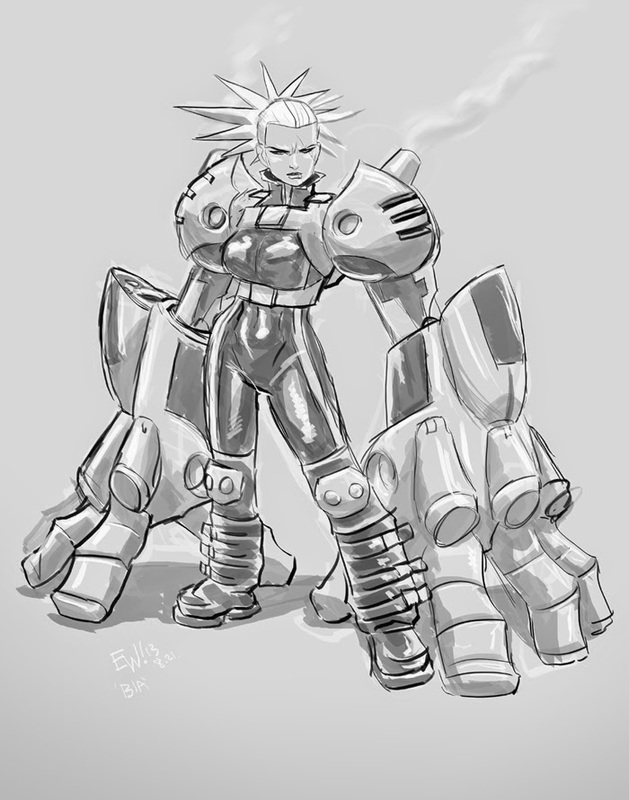 Her artificial arms are not cut out for battle though, so she was the candidate for an experimental set of Battle Knuckles developed by Dr Baddman. They were huge in proportion to the wearer's body and worked by keeping themselves in balance and supporting themselves, allowing the user to do kick attaccks with them supporting and propelling or for them to support each other in grappling, punching and other attacks. They are actualy quite light weight and feature grapple/ retractable cable mechanisms that Bia enjoys using like a dog slapping its pray around in its mouth. In an encounter with Jumping Boy, a great amount of force shattered one of them, rendering them both basicaly useless as they are meant to counter and balance eachother, and caused her prosthetic arms underneath to require a good deal of repair. As a reward for being the only person able to catch up to and pin down Jumping Boy and for her sacrifices and hard work over the years, Lord Javelin gave her the opportunity to prove herself worthy of his Honor Gaurd by bestowing her with a relic of power. With the arm armor that goes from hand to shoulder on her left arm, she is endowed with brute strength and near invulnerable defense against impact. 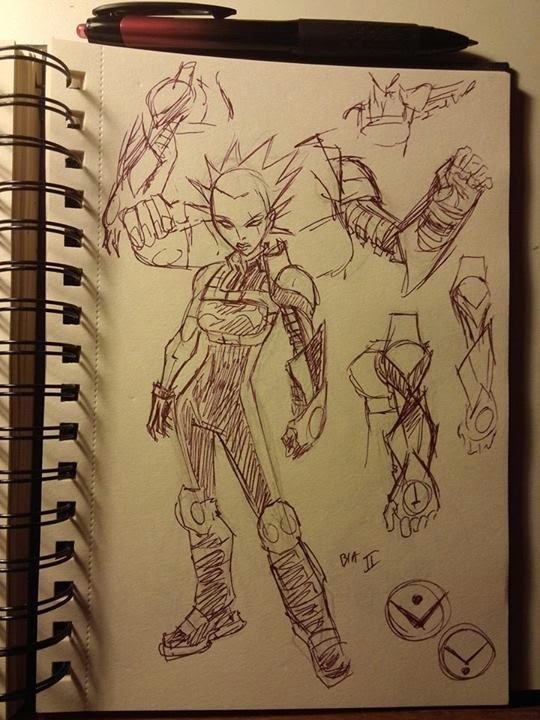 The armor is on her left arm but it also makes her prosthetic arm as well as over all body just as strong. While not immortal or invinsible, the arm armor makes her one of the toughest to defeat by straight up melee fighting there is. Remains to be seen if she will pass this final chance to prove herself that Lord Javelin has given her, and claim her place among his Honor Gaurd. Below is picture of Bia version one before she had a power relic, and version 2 design where the idea was to have a smaller armor look but to remember and evoke the fact that even though its smaller and less imposing looking its a whole lot more powerful. Please comment with your thoughts/ concerns/ questions in the comments below! Please share and like this webcomic on Facebook! 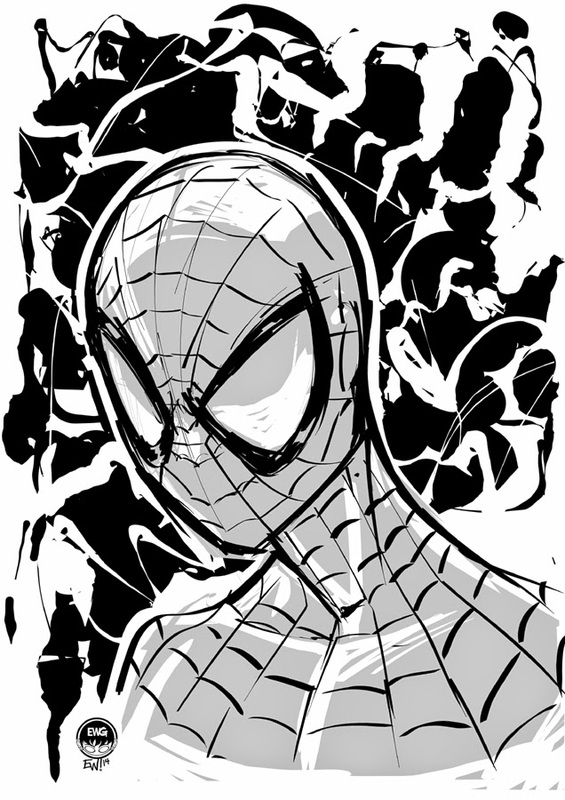 15 minute warmup sketch of Spiderman this morning to get the ol' hand loosened up for mega drawz today. EWG is finaly up and running at a diff location for a day or two full steam. Moved all my equipment instead of just using the backup laptop. Can work much more normal now. Got AC, power, interwebs and a quiet house to work out of. And two dogs to dog sit during the day. I traded our dog Wally the supervisor for two new ones?! What was I thinking? A mostly blind mostly def short stack old bity who can't make decisions and a hyperactive young upstart bent on lots of headscratches. Productivity will be at an all time high! Or not. Spidey here was drawn in inkscape with nib pen on 45 for the lines and white touches on the gray area which was filled in with pen tool. Then the background was done on a masked off layer with the splotch tool! The finished logo I did for BillSwerski's Sports Talk Chicago is up on the podcast's site! Go check out the site if you like any aspect of Chicago Sports - a direct nod to the famous SNL character. Was a fun one, fare less conservative than most of my logos but I think that was what made it fun. The farther I took it the more I added the more the client loved it. Well me too! My throwback posts generally try to look back at my work from years past, seeing where I was at that time in my creative career and compare it to my current work and studying how much its changed. 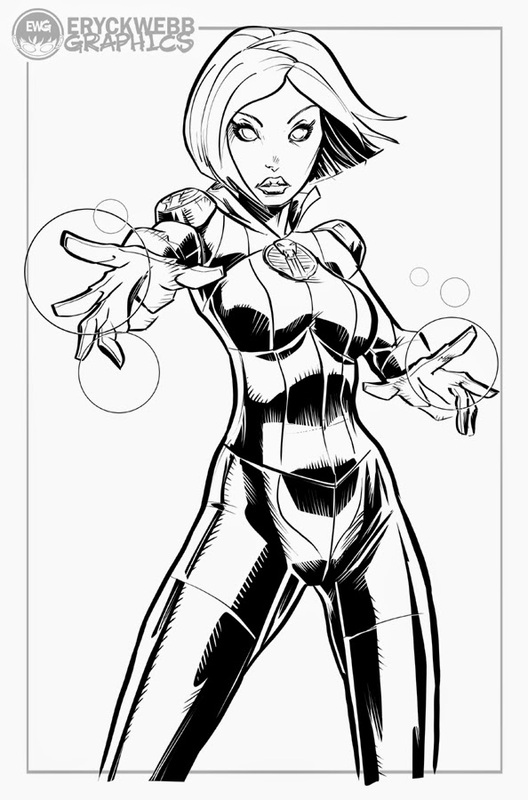 In this case we see a depiction of Susan Storm, Marvel's Invisible Woman. 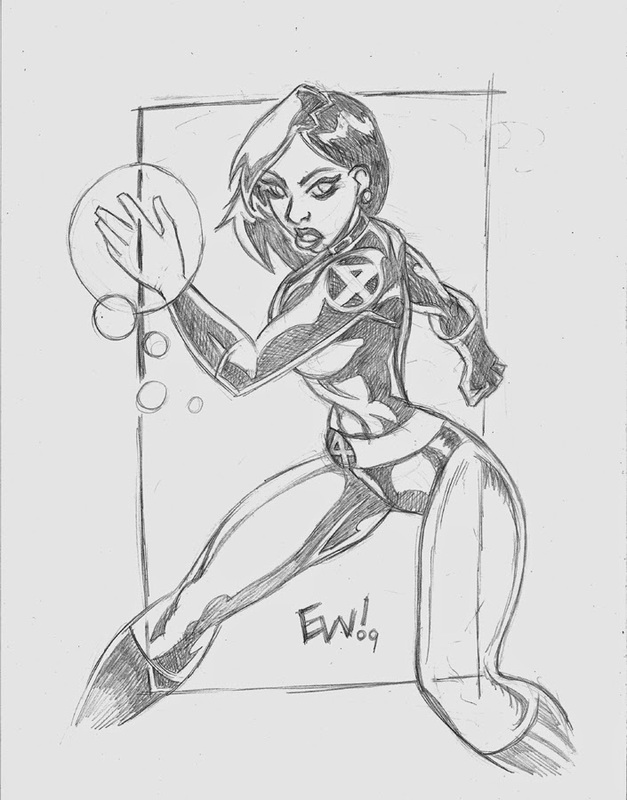 Here are two fanart commissions depicting her, one from when I drew pencil illustrations the very first year EWG began and then the other is inked version in the same process I use today. Costume differences aside, I'm looking at overall form, design style and approach to the form and aesthetics. My main observations are that anatomy got better, including facial structures and the biggest difference would probably be the jump from traditional pencil on bristol and the current one is all digitaly penciled in photoshop and inked in inkscape. Hence tools to make the circles near flawless on the newer piece as opposed to the older piece looks like I just freehanded it. My approach and style to the black shades still looks very similar, I like the big bold black areas to define light and dark, always have. What else do you see between these two? Hope you enjoyed this comparison from 2009 and 2013! Well here getting toward the end of the week time for a bit of an all around update entry in the notebook section! Mainly want to cover the state o' the EWG union, events and general updates! First off, don't miss out on tonight's June edition of Live Sketch Night - as its an opportunity to get some awesome full figure black and white art for $5-$10 dollars off (depending on what your normal options require). So come on out for that. Event starts at 8pmEST(EDT) and will go till midnight, will stop taking orders at 1130pm! Always a lot of fun, just free styling start to finish pieces. Goal is 30 minutes a piece but they take no longer than an hour each. Orders only accepted during event, its requested that you have your one pic of reference and $25.00 paypal ready to go! Take advantage of the savings and order more than one tonight during the event. One per customer will be done during event the extra orders will be taken care of over the weekend! No additional fees added. So see everyone out for that tonight! The last two were a blast. Search 'sketch night' on this site and check out recaps of the last two events. So far EWG has held one a month. Full body depictions will be the format, normal and chibi styles accepted! On the EWG business front as a whole, I've whittled away at orders and hopefuly theres a whole lot of super happy clients out there enjoying their new art. Accepting new orders daily as I book them a week ahead or two and always open to give quotes for your creative needs. Right now focusing on Character Design, Character Art, Tshirt Graphics and Logos. 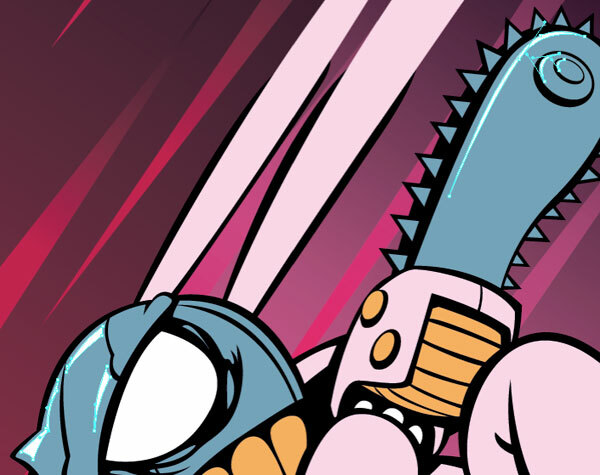 Taking a break from taking on more comic work right now, so I can concentrate all my comic efforts on UTMNT webcomic and TnC webcomicstrip as it heads into its 1st year anniversary! So happy to say I'm all caught up on orders and churning them out at a regular pace and look forward to the new orders folks will be sending my way. Keep them coming and thank you thank you for the business! General updates regard just general FYI issues around the EWG interwebs. The pricelist is the main item in question as I've gotten a couple messages asking about it being down. Every quarter I look at my time sheets and re-evaluate my rates to make sure they're not overcharging for the time it takes me to complete things and also so that I'm not eating time and undercharging myself. So every quarter I try to do a rate adjustement, and usualy nothing changes I'm pretty much on the mark anymore. But this is currently being done at the same time as redesigning the look of the pricelist page so that its got specific examples of each item, clear descriptions of what customers get and make it as clear and easy to understand the price options as possible. Should have that squared away by the end of June. Thanks so much to everyone planning to come out tonight, can't wait to see what requests you toss my way. Sketch night is always so laid back and fun. When waiting for new orders I doodle whatever comes to mind myself so its fun to come out and see whimsicle sketching too if you dont want to order I invite you to still hangout observe. Always some peppy tunes and silliness afoot. Final files can be received 8.5x13 or 11x17 and make great gifts or printouts to hang on your wall. EWG is up to speed and runnin steady and having a great summer business season so far. Thank you to everyone who has contributed to that, and look forward to seeing what comes next! See you tonight, and heres lookin to the weekend! This is basicaly what one will get when they come out to the Live Sketch Night tonight! Takes about 30-45 min per piece and only cost 25 bucks! Normaly a 30-37.50 value. This is my original character 'Bia' from my ongoing webcomic series Jumping Boy! The powerful and forceful wielder of some killer arm armor! She is always out to prove herself a dominating force despite having two robotic prosthetic arms. With or without her relic of power, her aggressive attitude always makes her a force to be recon'd with. See her in action right now in the current story of Jumping Boy over at http://www.eryckwebbgraphics.com/p/jumping-boy-comic.html every week! Meanwhile, back at the airfield. Marty just got the tractor put away. So in the hangar is macs old geebee aircraft, a towing tractor and mechanic tools and oil drums and lets not forget... Marty! Holy crikey! The doom. The krakadooooom of it all. As fun trivia for the loyal readers who come back week after week, I'll go ahead and tell you a bit about Clapper and Zapper. They are both relics of power in their own right. Ancient armor restored in modern form as robotic self driven drones by Dr Baddman here, and commissioned by the wealthy Lord Javelin. 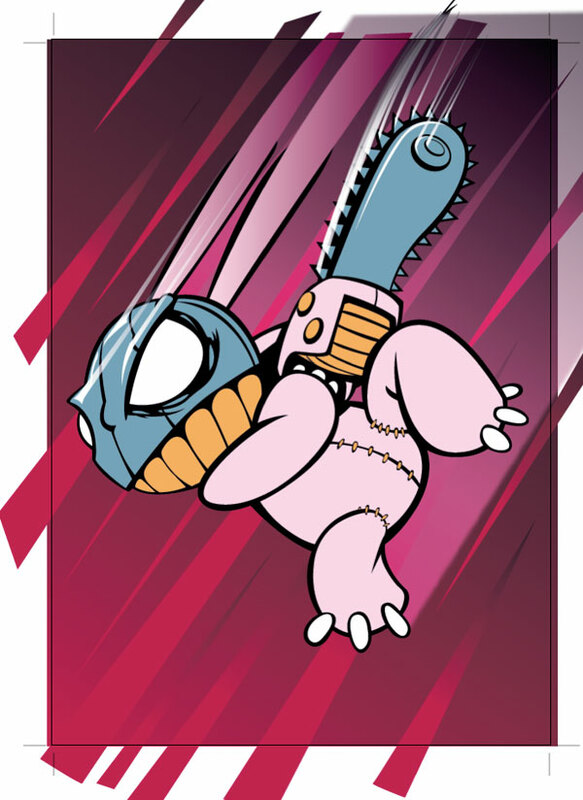 Zapper wields lightning/ electricity while Clapper wields thunder/ concussive wave lengths. Together you have some serious Krakadoom! But earlier in the armor's life, they were among others like them in france wielded by operators from inside. They are now driven by hydraulics and circuitry and gained many enhancements when re-worked by Dr Baddman. And there you have my concept notes on The Golem Twins! Golem: (/ˈɡoʊləm/ GOH-ləm‎) found in versions of ancient mythology is an animated anthropomorphic being, created entirely from inanimate matter. Often driven by a supernatural life force. 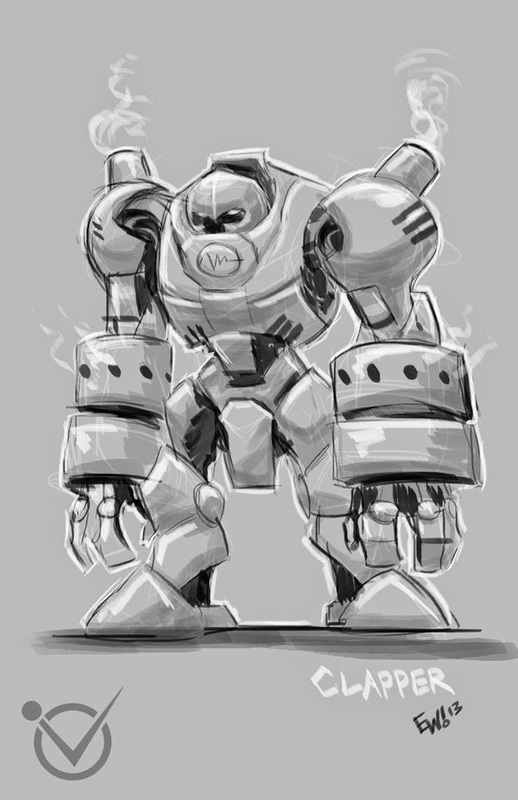 In this case, as they are robotic gearing in ancient armor bound with powers they were nicked named 'Golems'. 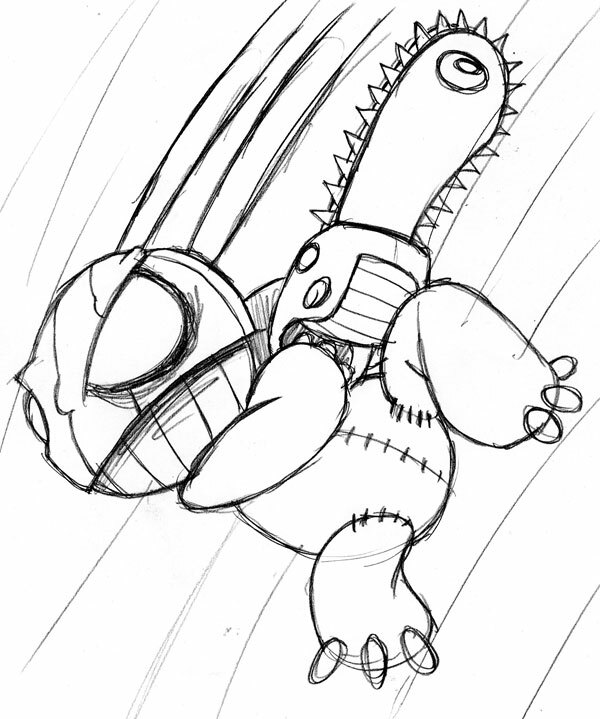 Original concept art of Clapper: The steam vents dispel heat and his big round arms were added by Dr Baddman and function to amplify his concussive blasts. 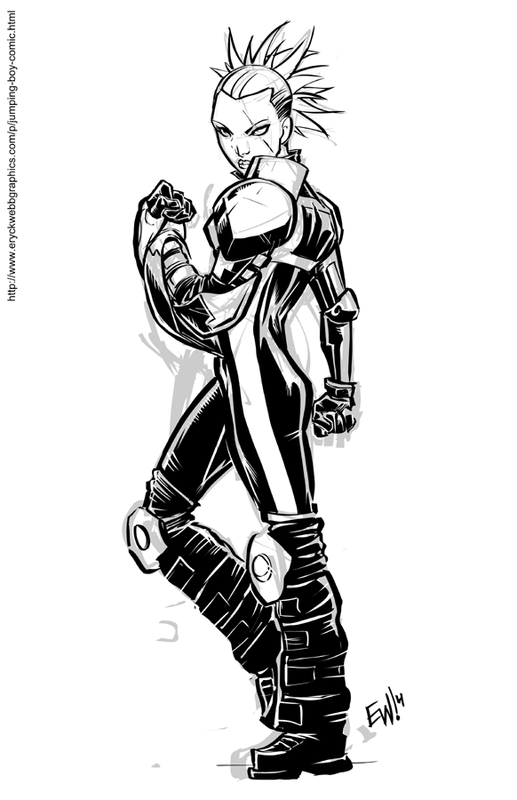 The art below was not drawn by Eryck Webb or associated with EWG but while searching for tutorials and reference for brainfood I found this wicked looking character and process for illustrating him in Illustrator, and thought I'd share! Enjoy! This tutorial by Sean Kelly was first published on January 5th 2009. This tutorial shows you how I build a character and add a dynamic background effect. This process can be applied to any sketch you are vectorising. 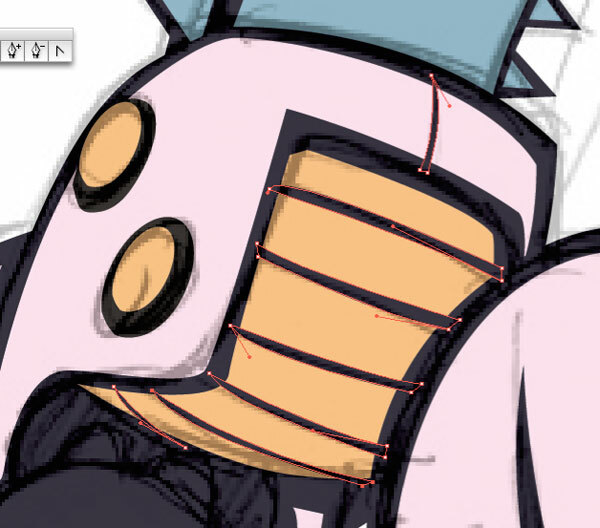 It takes some knowledge and skill with the Pen tool, but gives you ultimate control over your line work. In this tutorial, I will constantly refer to a tools' quick key, learn your quick keys people, it makes things so much easier! I can't stress the importance of sketching your character first, use whatever method you are most comfortable with. Vectors are a great finishing tool, but are not good for the sketch stage in my opinion. Get your idea down, tweak the proportions and overall look, then save the sketch as a jpg. Make a new document in Illustrator (A4 is fine). Go to File > Place and navigate to and select the jpg of your character. 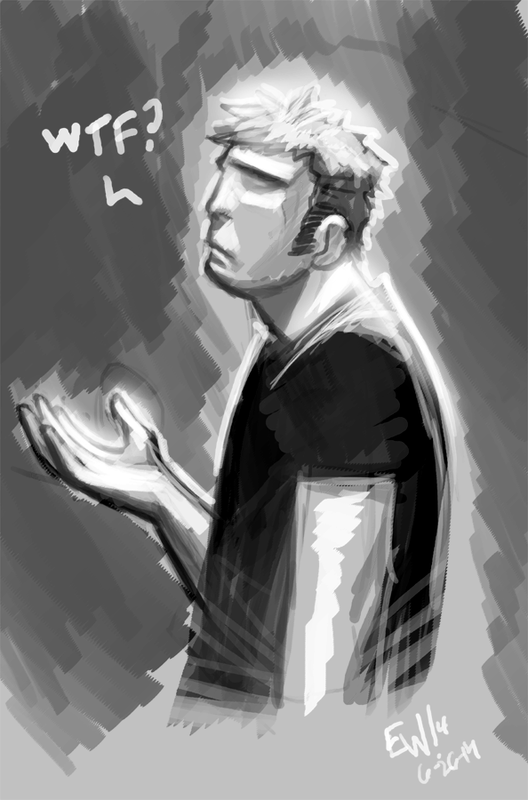 With the placed sketch selected go to the Transparency Palette and turn down the transparency to about 30%. In the Layers Palette double click the layer and name it "Sketch," and lock it. Make a new layer named "Back" and drag it under the "Sketch," layer. In the Color Palette set the Stroke to none and the Fill color to a rich black (C=60, M=60, Y=30, and K=100). In the Swatches Palette make a new Swatch Group, click and drag the black swatch from the Color Picker into the new Color Group folder. Each time you make a new color make sure you add a corresponding swatch to the color group, this allows for ease of color change and selection. Grab the Direct Selection Tool (A) and then the Pen Tool (P), doing this will allow you to jump back to the Direct Selection tool while using the Pen by holding down Command which is very useful while drawing. First, I begin by blocking in the basic shapes. The fewer points the better, look at where the shape changes or for the center of a curve. 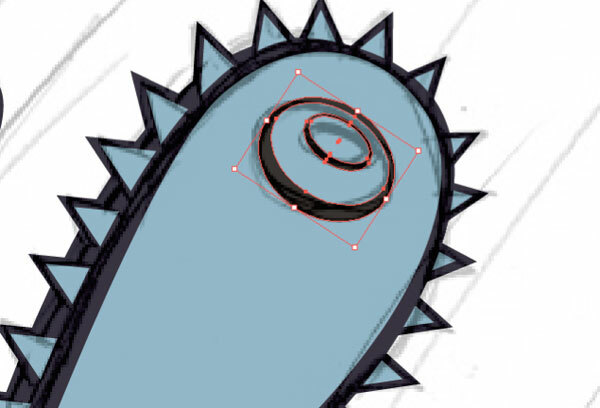 One click with the Pen tool will start the shape. Move to an apex point on the shape, click and drag (do not let go after the click). When you drag out you create handles that influence the line, I like to think of the handles as magnets distorting a thin metal line. Let the handles go when you are happy with the curve. Finish the shape by clicking back on the first point. Don't worry if its not exactly right, as it is very easy to go back and adjust. Mousing over a point and holding down Command and dragging allows you to move the point or the handles. At this stage a points' handles are linked and move together. When making a shape such as this, place a point at the corner, drag out the handles to follow the curve going back, release, then click the point again. This will delete the handle going forward. Here you can see that I have de-linked the handles of this point. To do this, hold down Alt-click and drag one of the handles, it now moves independently from the other. If you hold Alt and click on the point both the handles will be deleted, you can remake them by holding Alt and dragging them out again. 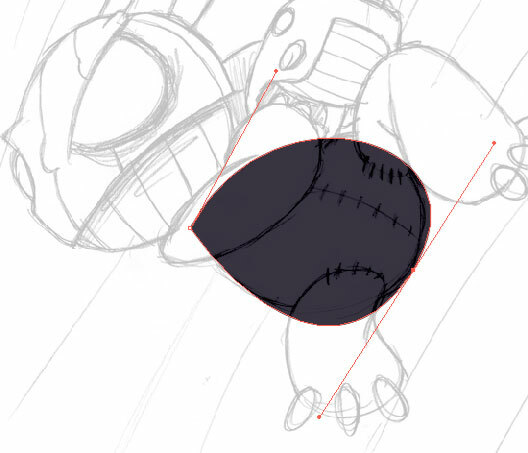 Follow the same techniques to create the other simple shapes that make up the character, remember that the more basic parts it has the easier it is to move them around to adjust the look. Also, having overlaying elements will make it easier in later steps. When making an area such as the spikes: draw a single triangle then get the Selection tool (V), hold Alt and drag the shape to make a copy. To repeat the copy multiple times hit Command + D.
Below is the finished "Back" layer, as you can see the character remains in simple shapes. Now we can split parts up into separate layers. With the Selection tool (v), select the legs (holding Shift allows you to add to the selection, holding Alt will deselect objects). 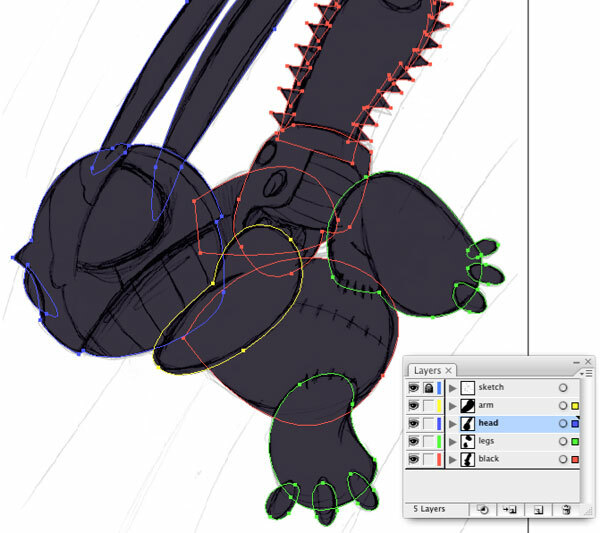 Cut (Command + X) the legs, make a new layer "Legs," select the Legs layer and Paste in Front (Command + F). Select the head objects, make a layer called "Head," cut the head objects and paste them in front on the "Head" layer. Select the front arm, make a layer called "arm," cut the arm shape and paste them in front on the that layer. Use the Color Palette to choose a fill color for the body. I have used C=0, M=19, Y=0, and K=0. Exact color is not important right now though, as long as you keep it standard for the different parts of the character, its very easy to change when you are done drawing. Make a color swatch with your new color. Below you can see I have made the body and the back arm shapes on the "Back" layer, move up the layer stack adding details to the various body parts. 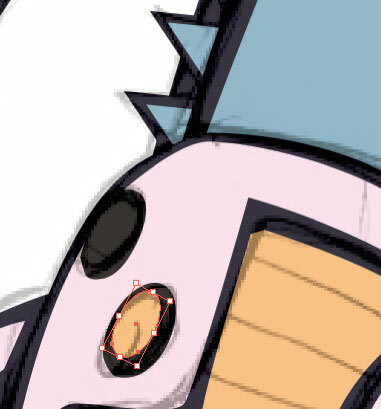 As you are drawing the various parts of the same color, make sure that you are working within the correct layer. 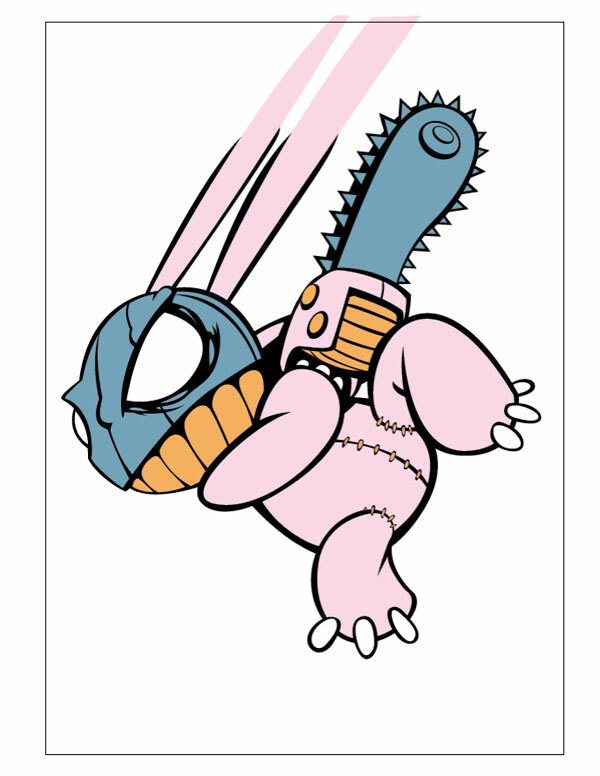 When you are finished with the body color areas move on to the mask and chainsaw. I am using C=41, M=7, Y=5, and K=24. Make a color swatch with your new color. Unlock the "head" and lock the rest of the layers. For the first color pass I draw in the colors in reverse as you can see in the illustration. Once you are done with the mask relock the "Head" layer, move down to the "Back" layer and draw the blade and spike fills. Remember you can drag-copy the spike fills by Alt-dragging the shape. Once you have placed all the spike fills, select the black round saw shape with the Selection Tool (V), Copy (Command + C), Paste in Front (Command + F) and move it to the front of the layer stack (Command + Shift + Right Bracket key). 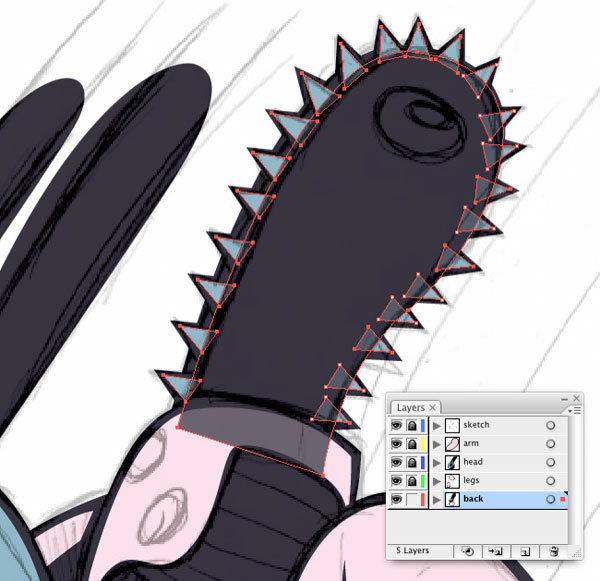 Use the Direct Selection Tool (a) to select and edit points on the black shape in front showing more of the spikes on the left side of the chainsaw than the right. 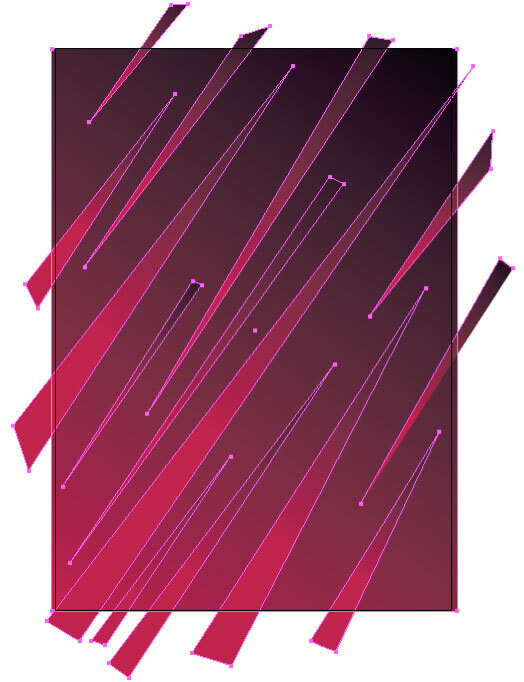 In the illustration below I have made the front shape transparent and selected the spikes to show where the shapes crossover, which gives the desired effect. Select the grey from your Color Group, draw the central shape of the saw blade. Using the Selection Tool (V), select the handle shapes (circled below) and move them to the front (Command + Shift + Right Bracket key). Select a fill color for the handle and add it to the swatch group. I used C=2, M=35, Y=70, and K=0. Make the handle shape. Select black from the swatch group, use the Ellipse tool (L) to make approximate detail circles, use the Selection tool (V) to distort and move them into place. Select one of the circles with the Selection tool (V), Copy (Command + C) and Paste in Front (Command + F). Select the yellow brown swatch and distort the circle as shown. Pushing in the sides and corners as needed (holding Alt will constrain the movement to the center of the object). Repeat the process on the other button. 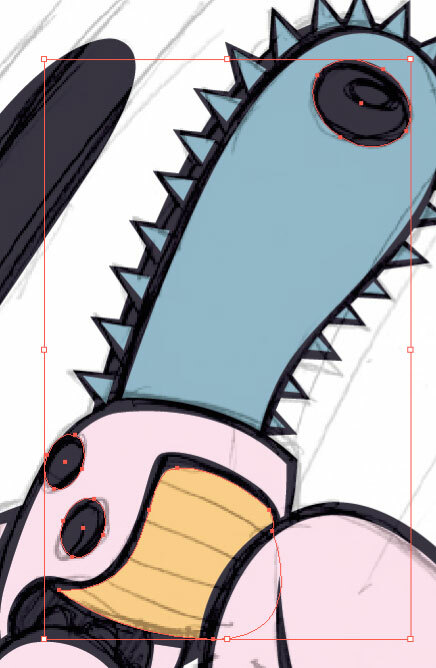 Using the same process as the buttons, copy up, change the color, shrink, and distort the circle on the blade. When you are happy with the first level of circle select them both, copy, and paste in front. Shrink the new copy and position as shown below. 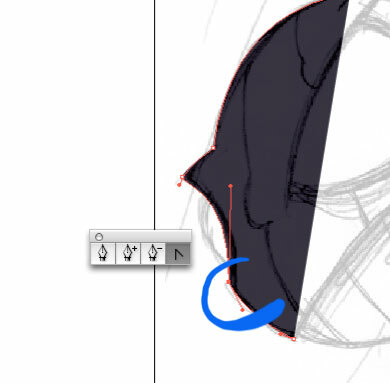 Select the black swatch for the fill, use the Direct Selection tool (A), then the Pen tool (P) to draw in the handle details as shown. I like to have control of the line, so I tend not to use the Stroke very much if at all. Staying on the "Back" layer, move down to the belly and use the same technique to make the seam and the stitching. Select all the stitching (hold Shift and click on each stitch), Copy (Command + C) and Paste in Front (Command + F). Select the yellow brown swatch to change the color. Click away to deselect, then use the Selection tool to individually distort the fills to fit the outline. Lock the "body" layer and move on to the "Legs" layer. Select the black swatch, then use the Direct Selection tool (A) and then the Pen tool (P) to draw in the details as shown below. 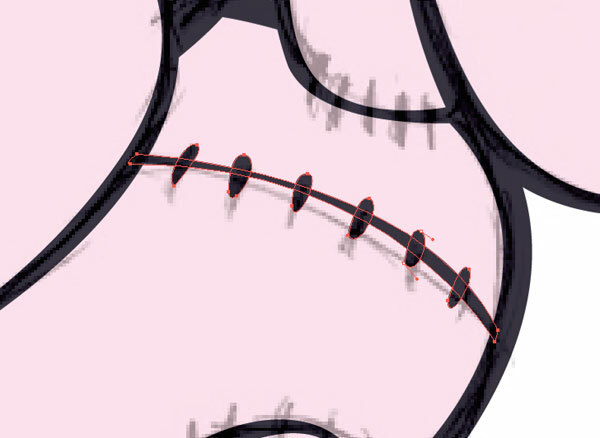 Follow the same method as above to create the stitch fills. Select the black shapes of the toe claws and move them to the top of the layer (Command + Shift + Right Bracket key). 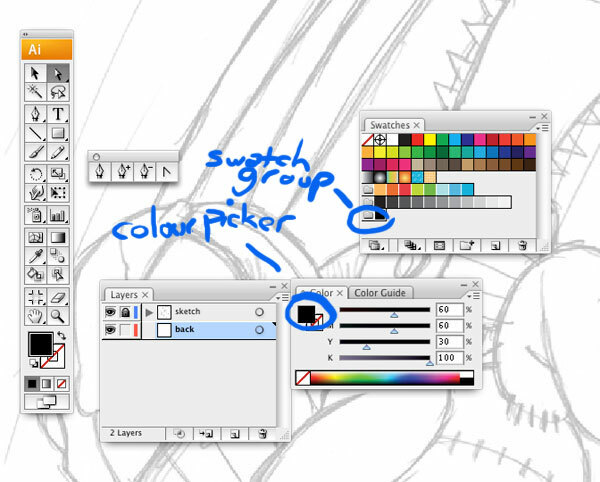 Select white as a fill color and make a swatch in the color group, draw in the claw details. Select the back toe and move the outline and fill to the bottom of the layer stack (Command + Shift + Left Bracket key). Lock the "Leg" layer and move to the "Head" layer. Keep white as the fill color and draw in the eyes. Select the black swatch and draw the mask lines in. 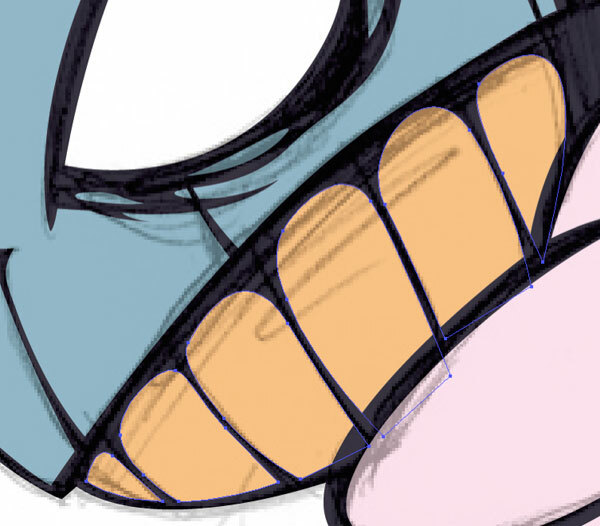 Select the yellow brown swatch and draw out the teeth, as you can see I outline them all. I find this gives a better finish. 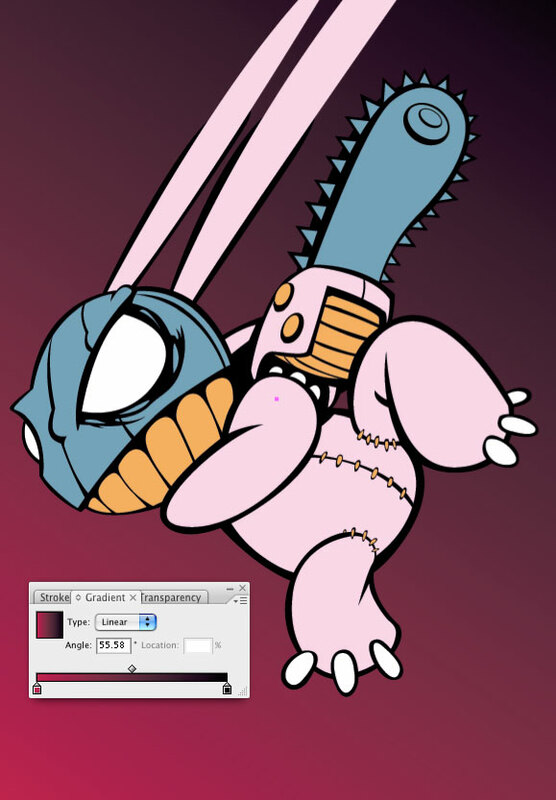 Select the pink swatch and draw elongated fills for the ears. Use the Selection tool (V) to select the fill and outline, then move them to the bottom of the layer stack (Command + Shift + Left Bracket key). The ears will be filled with a gradient to give a better speed effect at a later step. Lock the "Head" layer and unlock the "Arm" layer. Select white as the fill color and draw in his claws. 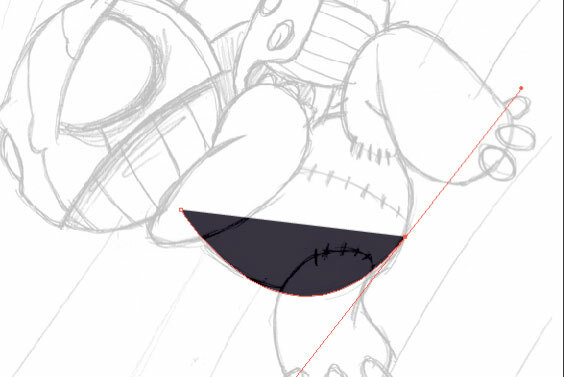 Turn the visibility of the "Sketch" layer off and zoom out to take a look at the figure. Adjust any points as necessary, if you wish you can go with completely different colors. Simply select a shape with the color you want to change, go to Select > Same > Fill color, then adjust the color using the color palette. Lock all the layers and make a new layer "Background." Drag it to the bottom of the layer stack. Select the Rectangle tool (M), then in the Gradient Palette select a gradient type of Linear. Click on the gradients' left color swatch and in the Color Palette change the color to CMYK: C=18, M=100, Y=60, and K=8. Next, add the color to the color swatch group. Select the black swatch and drag it over to the right swatch in the Gradient Palette. Select the Gradient tool (G) and run the gradient from the lower left corner to the upper right corner, the gradient begins where you first click and ends where you release. Select the Pen tool, keeping the same gradient fill, and staying on the same layer draw elongated spikes following the same angle as the background gradient. 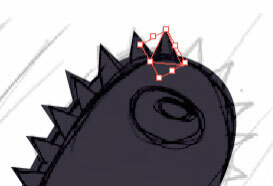 You can select the spikes individually and adjust the gradient using the Gradient tool (G) if necessary. Deselect any objects by clicking away from the drawing. Click and drag the pink swatch from the Swatch Group to the left swatch within the Gradient Palette. 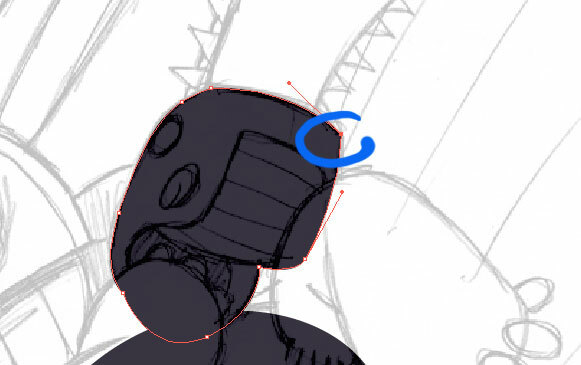 Draw a trail shape coming from under and out behind the character as shown below. 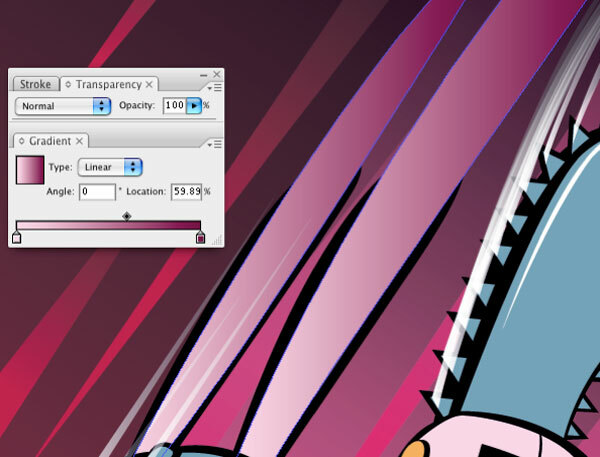 In the Transparency Palette set the shapes' Blending Mode to Overlay and Opacity to 75%. Go to Effect > Blur > Gaussian Blur, and set the Radius to 9 pixels. 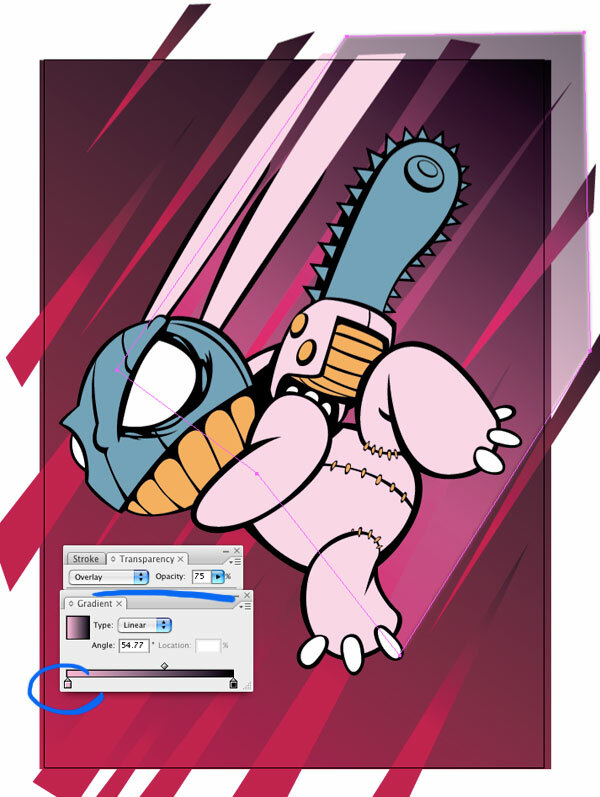 Lock the "Background" layer and make a new layer on top of the character layers. Name it Highlights. Use a white fill and draw in the highlights as shown. Emanating from the highlights are white streaks fading out. To make these select a linear gradient, drag the rich black swatch from the Swatch Group to the gradients right swatch, move the Location point to about 20%. 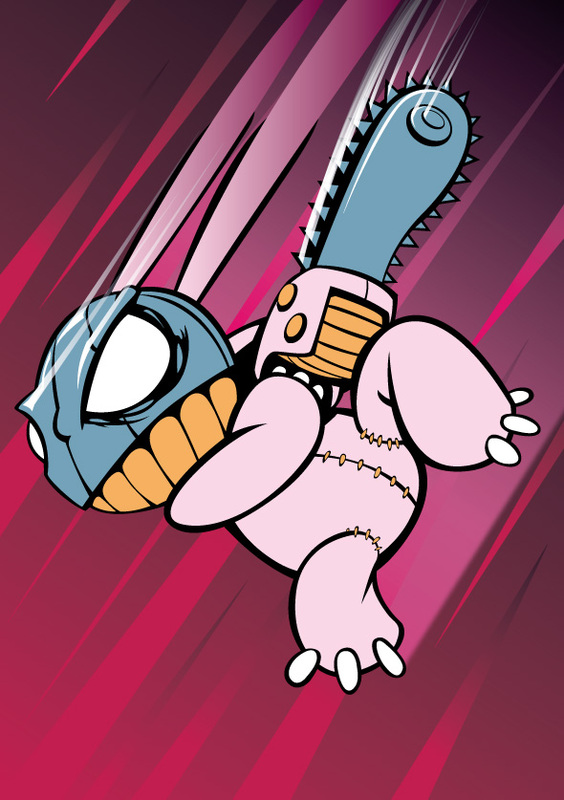 Draw a thin triangle coming from each highlight point and also from each chainsaw blade. 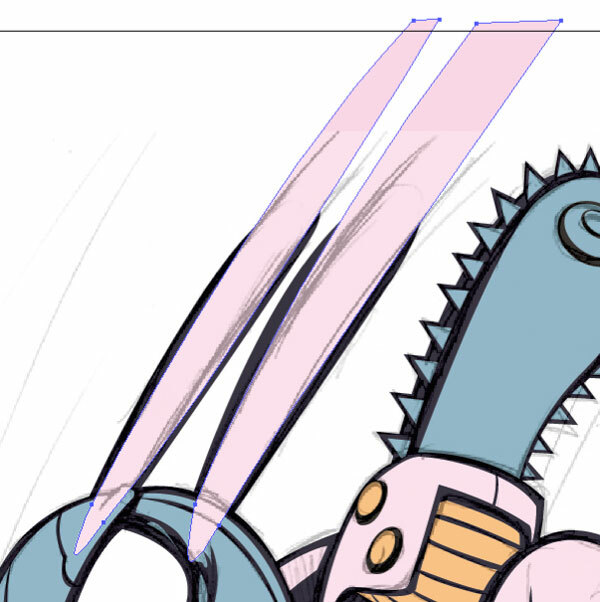 You can see below that I have curved the blade highlights to make it a bit more dynamic. Select all the streak objects then go to Select > Same > Fill color, and set the Transparency to Screen. Unlock the "Head" layer and select the ear fill objects. From the Gradient Palette select Linear, then drag the pink swatch from the Swatch group to the left swatch in the Gradient Palette. Next, change the Location to 60% and double-click the right swatch to edit. In the Color Palette select: C=0, M=100, Y=0, and K=64. 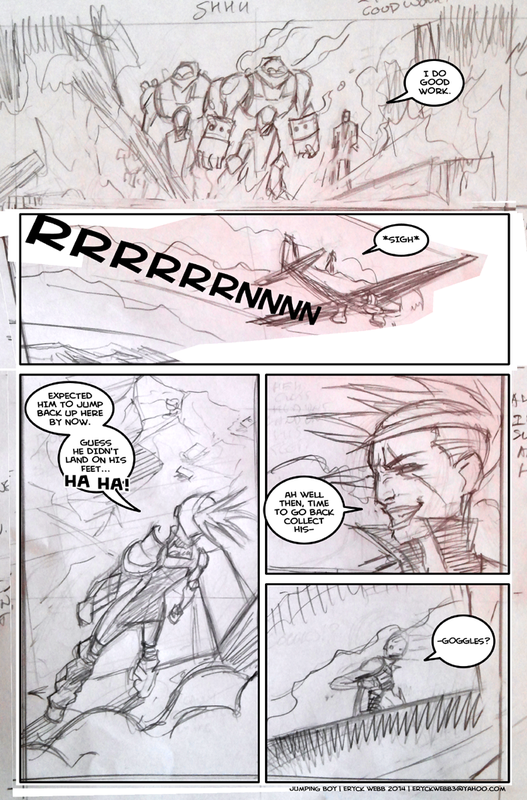 That's about it, the final step is to crop the area to the page. In the color Palette select no fill and no stroke, select the Rectangle tool (M) and draw a rectangle the size of the page area (it doesn't matter what layer you are on). With the rectangle selected go to Object > Crop Area > Make. Crop marks appear at the corners. Now you can save the illustration as a JPG, GIF (Save For Web), PDF, EPS, etc (Save As) and the illustration will be nicely cropped. For more of Sean Kelly's crazed characters check out Bucket 'o' Thought. I use inkscape even though the "industry standard" is adobe illustrator. I just refuse to pay 500 bucks for a program thats going to get a new version come the following year. I know I know, adobe cloud solves that problem. Well, when that day comes I will have to raise my prices for the new overhead, but till then I will save clients cost by using open source software like Inkscape. 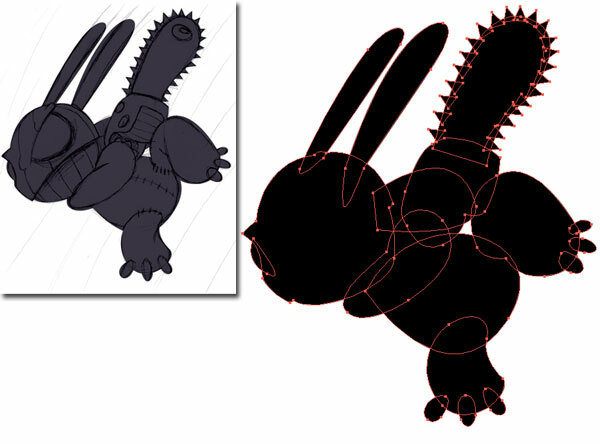 No matter what you use, this tutorial applies to all pen-tool based vector drawings! And I believe the simplicity of this tutorial is a great place for any aspiring graphic artist to practice with! June Live Sketch Night Event - This Thursday! New TNC 45 has been posted! Jumping Boy #1 on Amazon - Get it today! 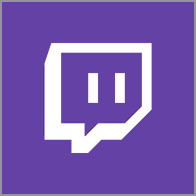 Thursday Night Livestream set for 6/5 830pmEST!